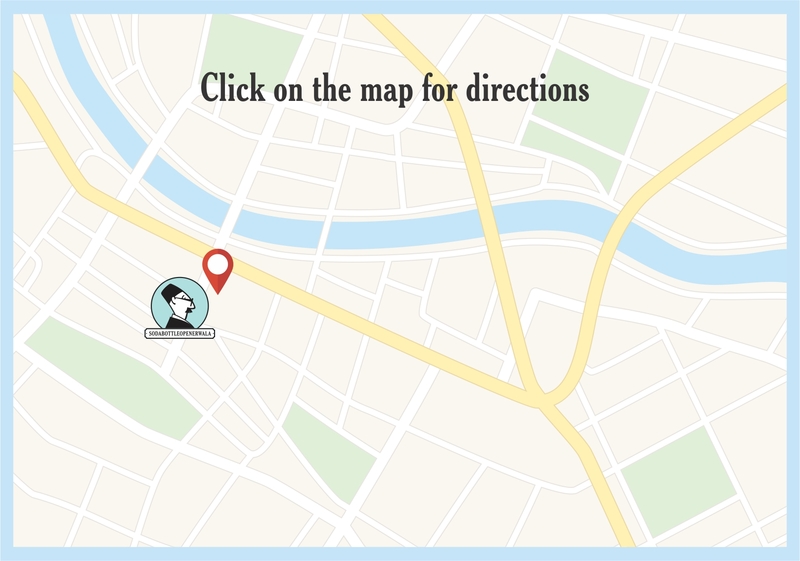 SodaBottleOpenerWala Lower Parel is a casual all-day café serving Parsi and Bombay inspired Indian Food. We’ve a full bar setup and the signature cocktails are a must try. We’re children and vegetarian friendly. We usually don’t take reservations unless it’s a special occasion and that too before 1230 noon for lunch and before 730pm for dinner. It’s best to speak to the manager if you’re planning a special occasion (we offer complimentary shots and a nice cake for guests who celebrate their B’days and Anniversaries with us). 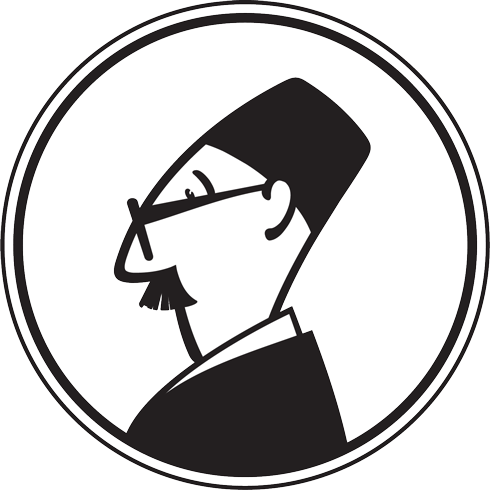 Chef Viraf Patel pops up with a menu featuring traditional Parsi dishes in a modern European avatar. 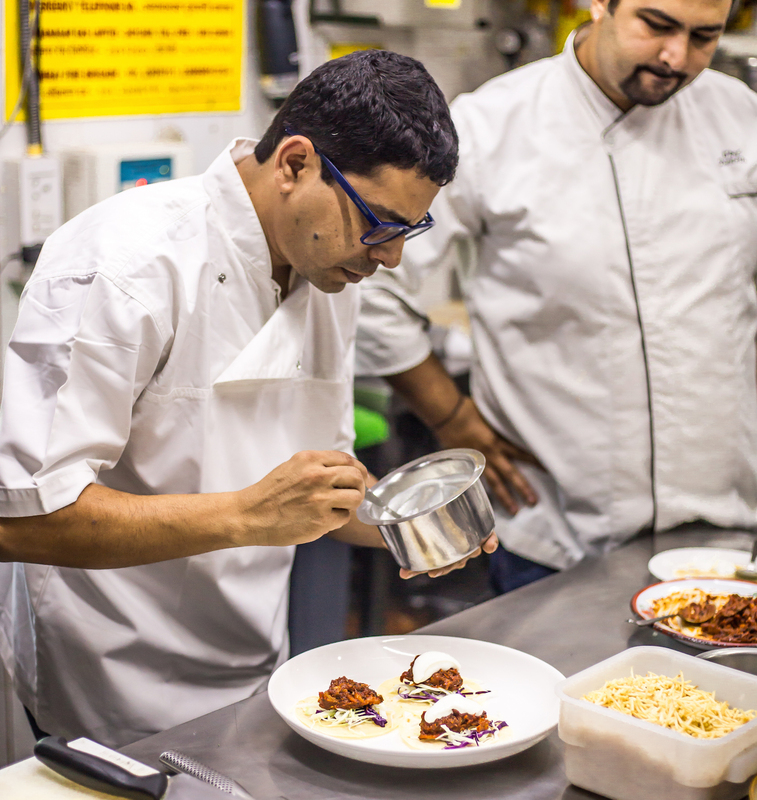 Come try the kuku-e-subz florentine, truffle papeta, beluga lentil stew and khichdi risotto. 12 noon till closing, till Feb 28. We serve breakfast everyday from 830 am to 12 noon. 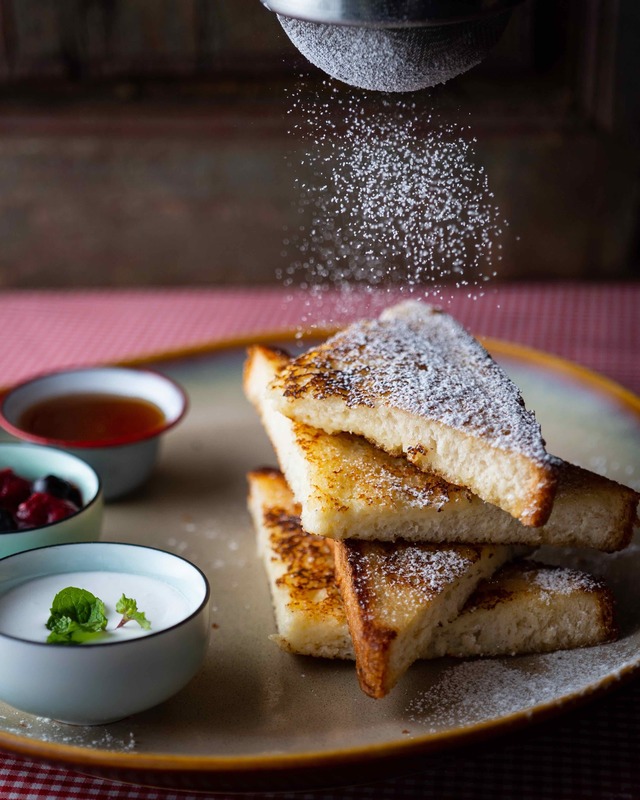 Breakfast at SodaBottleOpenerWala Lower Parel is a great way to start your day early with business meetings or catching up with friends or simply just being by yourself reading a book and sipping some Chai. It’s great value for money and the must-tries are Pancham Pooriwale Ka Poori Bhaji, Paneer Akuri, Bun Maska, Keema and Ghotala Pav, Eggs to order, French Toast, Chai, Coffee and an excellent Cold Brew. 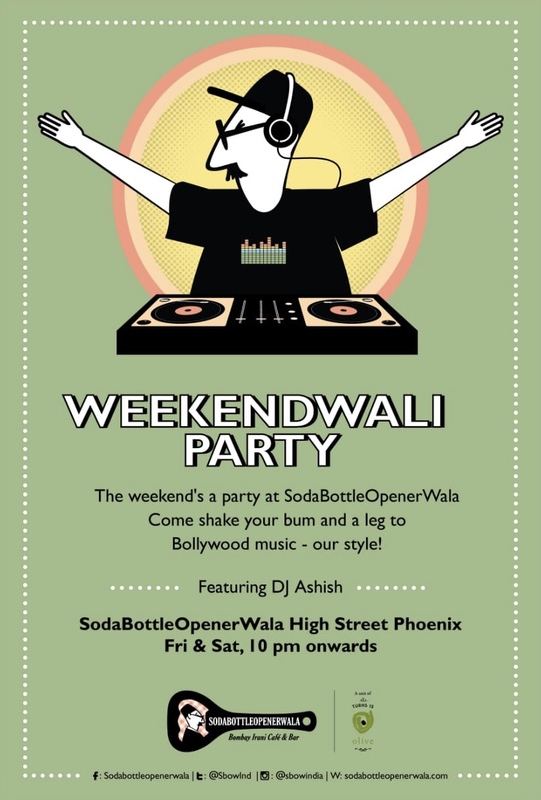 Weekend late nights are special at SodaBottleOpenerWala Lower Parel. This’s when you let your hair loose and turn on your dancing shoes with DJ Ashish belting out awesome English and Hindi Retro numbers. 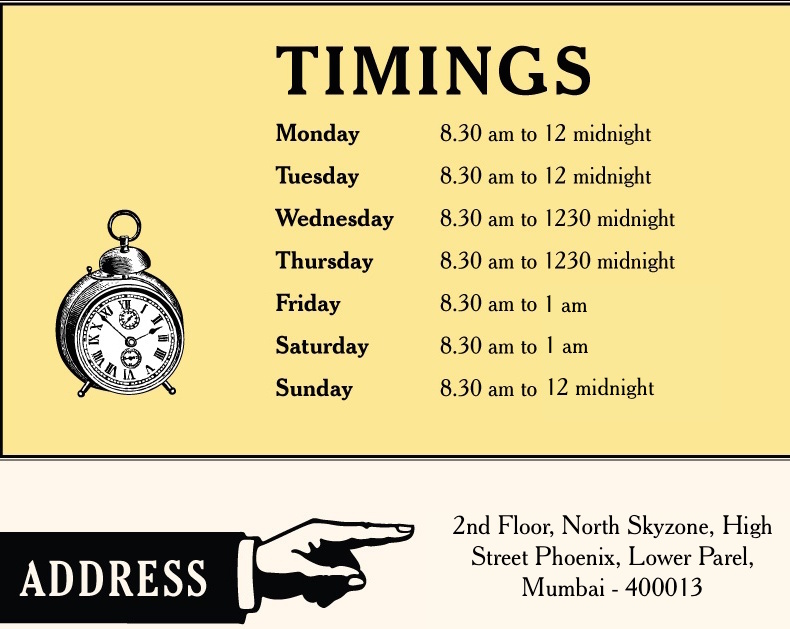 Timing – 10pm onwards on Fridays and Saturdays. 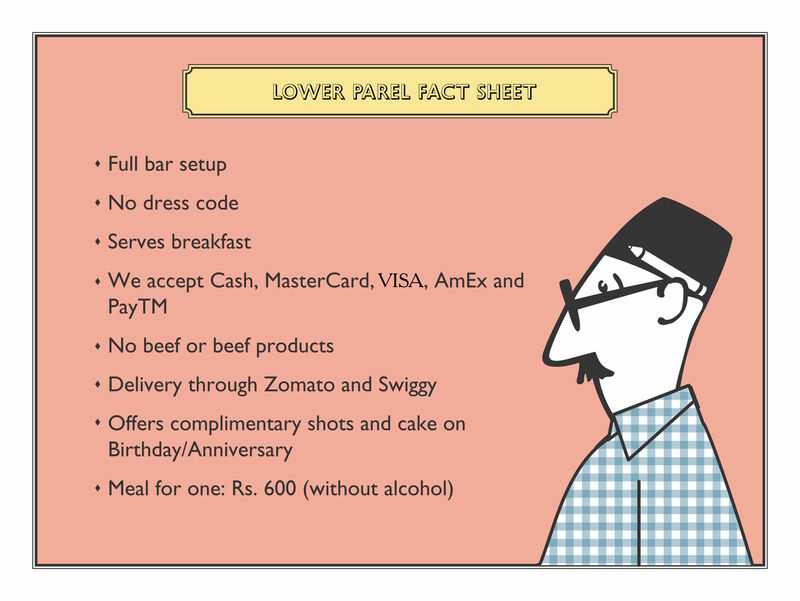 This’s probably the best night deal you’ll find in Mumbai. 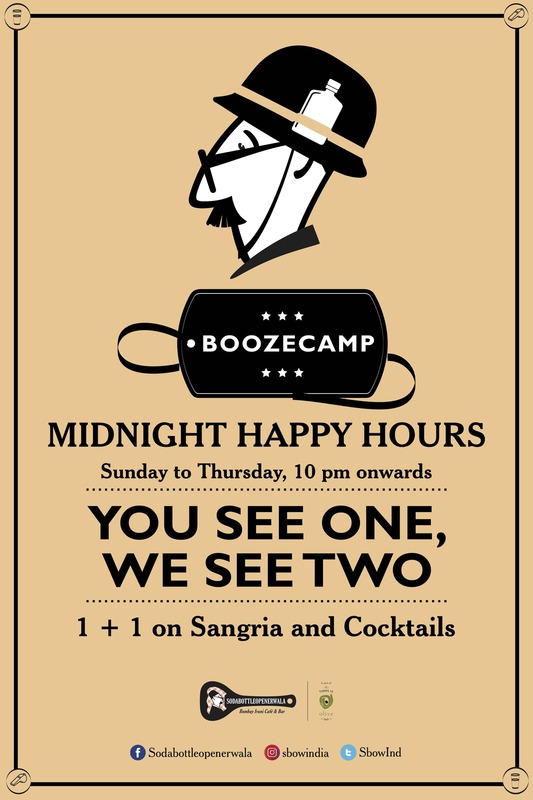 Buy One Get One Free on Sangria and Signature Cocktails 10 pm onwards from Sunday to Thursday. With some excellent Retro music on the mix.